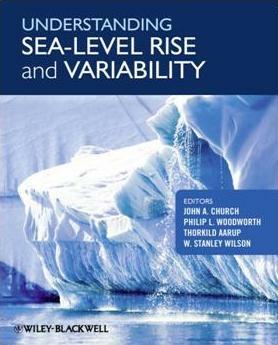 Understanding Sea-level Rise and Variability released in September 2010. It is based on the World Climate Research Programme workshop on Understanding Sea-Level Rise and Variability held in Paris in 2006. It can be pre-ordered from Wiley-Blackwell. 2 Impacts of and Responses to Sea-Level Rise. 3 A First-Order Assessment of the Impact of Long-Term Trends in Extreme Sea Levels on Offshore Structures and Coastal Refineries. 4 Paleoenvironmental Records, Geophysical Modeling, and Reconstruction of Sea-Level Trends and Variability on Centennial and Longer Timescales. 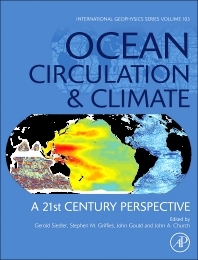 6 Ocean Temperature and Salinity Contributions to Global and Regional Sea-Level Change. 7 Cryospheric Contributions to Sea-level Rise and Variability. 8 Terrestrial Water-Storage Contributions to Sea-Level Rise and Variability. 9 Geodetic Observations and Global Reference Frame Contributions to Understanding Sea-Level Rise and Variability. 10 Surface Mass Loading on a Dynamic Earth: Complexity and Contamination in the Geodetic Analysis of Global Sea-Level Trends. 11 Past and Future Changes in Extreme Sea Levels and Waves. 12 Observing Systems Needed to Address Sea-level Rise and Variability. 13 Sea-level Rise and Variability: Synthesis and Outlook for the Future.